Toledo Early College is a school with an “Excellent” rating from the Ohio Department of Education. The success story does not end with the “Excellent” rating. Toledo Early College has the highest high school performance index in Northwest Ohio and has been ranked nationally by U.S. News and World Report. It became part of the Early College High School Initiative in 2005. The Initiative provides a place where high school and college meet to provide students who are under represented in higher education — students who have not had access to academic preparation needed to meet college readiness standards, students for whom the cost of college is prohibitive, students of color and English language learners an opportunity to prepare for earning a college degree. 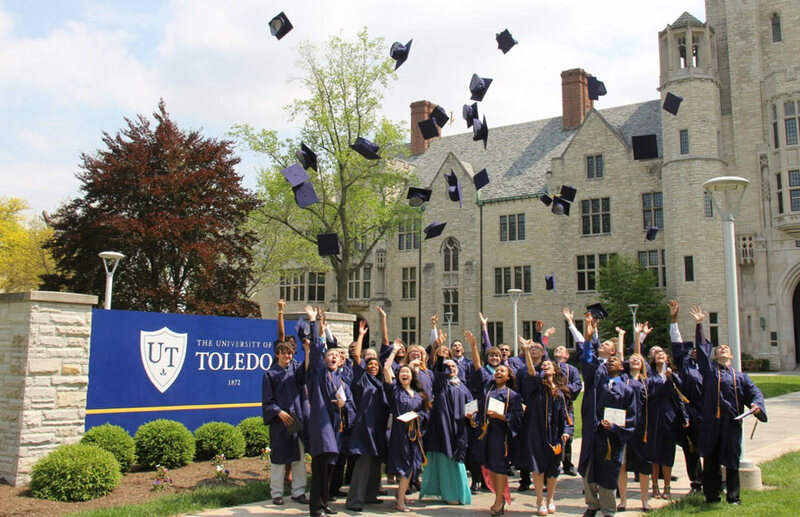 Toledo Early College High School is set apart from other Early College High Schools because it is actually located on the campus of a higher education institution — the University of Toledo. Toledo Early College began with nearly 100 students, four teachers, a principal and part time counselor. Its curriculum consisted of two years each of English, Science and Social Studies and up to three years of mathematics. Those four core subjects were college preparatory and designed to groom students to successfully complete two years of college towards a four-year degree. Students take the remainder of required courses on the college level and are awarded dual credits. Students receive books, resource materials and college tuition free of charges. Toledo Early College proved academically to be an "Excellent" school based on OGT scores and attendance rates. Many members of the junior class are full time college students, taking between 12 and 16 semester hours. The freshman and sophomore classes have a hybrid schedule of college and high school courses. The school calendar is closely aligned with the University of Toledo calendar, including winter and spring breaks.